Your REALTOR® must be loyal to you and work in your best interests only, even if that is above their own best interests. You are their #1 highest priority during a real estate transaction. Your REALTOR® must keep anything you tell them private and confidential. In other words, your price, terms, motivation, and personal information are all kept under a tight lip. Your real estate professional has a vast wealth of knowledge about the real estate transaction process. They will share anything they've learned from their years of experience to help set you up for success. This allows you to know you are always making the most informed decisions. Your REALTOR® must obey all of your lawful instructions. You are in the driver seat. As a client of your REALTOR®, you are the most important person to the transaction. They will always attempt to be available when needed and will make sure to help you locate the best possible home for your family. The real estate transaction is a challenging process. Your REALTOR® is accountable for ensuring that the transaction runs smoothly, all the pieces fall into place as expected, the numbers match the offer, as well as the financing approval and closing docs are taken care of. In other words, if you walk into an open house, the person representing the seller is obligated to be loyal to the seller only. That agent's job is to secure the best possible deal for the seller, which may not be in your best interests. You deserve to have someone on your side who is looking out for you. Each neighborhood and each city follows different trends. Your local agent knows which homes are up for sale in the areas you desire, and may also be able to show you neighborhoods that fit your criteria but that you may have otherwise overlooked. Most of all, an expert knows what homes are currently selling for, and can better gauge if there's wiggle room in an asking price. It's nearly impossible to call up a seller and ask for the keys so you can take a look at a home, and it's twice as difficult to make the arrangements with multiple sellers all in one day. Because your agent has the reputation and experience of a professional, they can make the arrangements to view homes much quicker than you'd be able to alone. When you have someone representing you who knows how things should be done, they tend to happen as they should. Without representation, it's easy to be taken advantage of during the home inspection process. 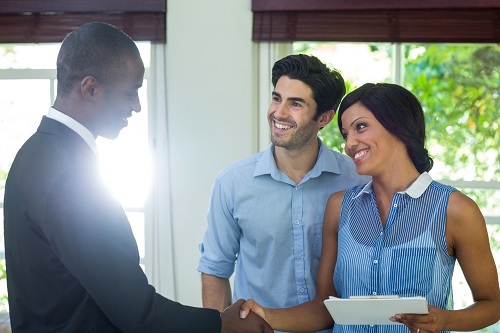 When You're Ready To Close, Your Agent Can Help You Navigate The Process To Make It Easier. There's a lot of paperwork and people involved in the closing of a home. Your agent will keep track of everyone, so it will feel like all you had to do was sign. Your new home will likely be one of the biggest investments you ever make, so it's imperative to have someone looking out for you throughout the process. Your agent will make it easier, safeguard you, and help ensure you're getting a good price. It's not so much a question of whether you need one, but rather, of whether you can afford to accept the risks of not having an agent by your side. This is why you always want to work with a REALTOR®.